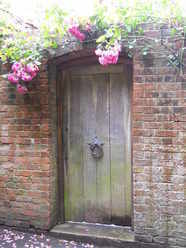 Had a very enjoyable day in lovely Winchester (see picture of the door!) 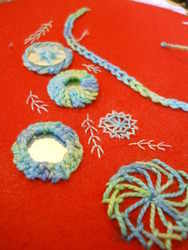 at the weekend teaching Indian embroidery - Shisha mirror work. Outside, It rained for most of the day, but inside the mirrors were shining! 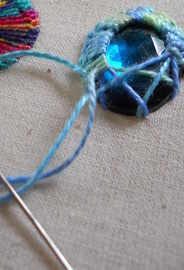 There will be another class in this beautiful technique in November at the Royal School of Needlework. I have added more class dates also for this year so for more information on these, visit my classes page. I have also posted a new video! 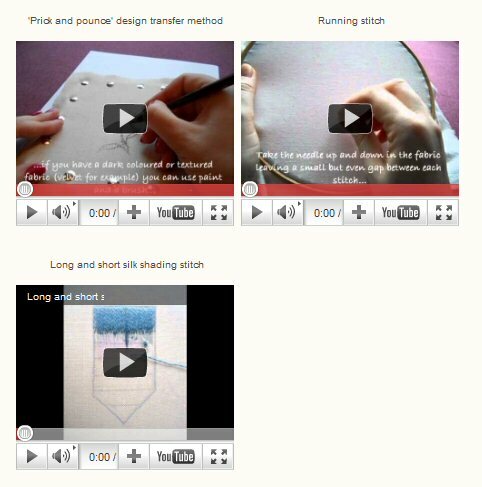 See a quick guide to the silk shading long and short stitch on the 'How to...' page here. Don't forget, there is everything you need to know about the silk shading technique in my new book which is available now from my shop.